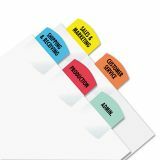 Templates compatible with Windows® version of WordPerfect® and Microsoft® Word. Heavy-duty durable plastic will not tear or curl. 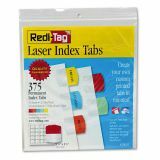 Redi-Tag Laser Printable Index Tabs, 1 1/8 x 1 1/4, 5 Colors, 375/Pack - Create professional quality indexes without the expense of custom index sets. 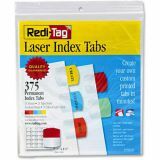 Tabs feature self-stick permanent adhesive and attach to side or bottom of any size page for maximum flexibility. 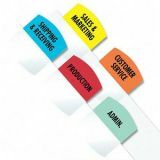 Refill packages include templates and instructions. Color assortment includes red, orange, blue, mint and yellow. 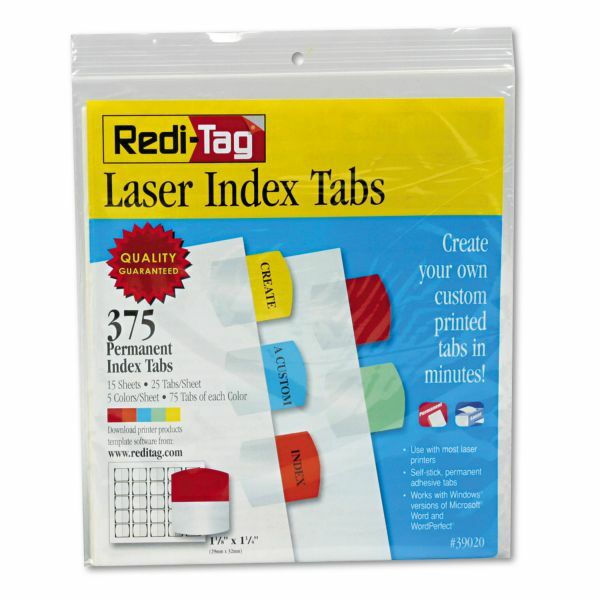 Use on divider sheets or any size bound material. Index anything with your specific titles.